A massive facility known for its high organization skills and helpful amenities, including an on-site hotel and tourism center, Kuala Lumpur International Airport is a great place to be greeted. Enjoy the exotics of the region, from vast equator-tropics of the Hutan Lipur Jeram Toi forest to the boardwalk attractions at Port Klang. Explore the diversity of the region by booking a ride before you’ve arrived, whether it’s a simple courtesy shuttle offered by Sama-Sama Hotel or a private vehicle that allows you to be the first and last decider of where to go. Take time to see what there is to discover at the heart of the region by finding a ride that allows you to see it all, starting with what’s downtown. Reserve a sedan to make the drive intimate, pulling up to the capital city with all the ease in the world, or enjoy the the charming neighborhood of Pudu with the guidance of a local personal driver. For those looking to indulge in the area, do so by sticking to the right streets, enjoying the excitement of the shopping and entertainment district of Bukit Bintang courtesy of a taxi drop-off. For business travelers looking to arrive to the Kuala Lumpur Convention Centre with total ease, get there in class with a stretched limousine, making heads turn when you arrive as much as when you leave. Find other destinations that offer GO Airport Shuttle or search for other transportation providers at Kuala Lumpur (KUL) airport. Bus fare is typically very affordable. There are also three major light rail lines: RapidKL LRT, RapidKL Monorail and KTM Komuter. If you don’t want to be in a crowd catch one of the red or blue taxis. A bright blue taxi is a premium or executive taxi. The red taxis are budget taxis. Benefit by booking our personal private vans with qualified drivers who understand Kuala Lumpur evidently. Save your money from transport to cities like Kuang as well as Semenyih. Our trained chauffeurs are ever available and will pick you on arrival and take you to any of the best attractions like Batu Caves, Kuala Lumpur Bird Park and then give you a drop off at Petronas tower for a glimpse of the beautiful site. Our posh private sedans for hire cannot be dismissed as they offer best airport transfers and airport transportation to the best areas in Kuala Lumpur. We have well accomplished drivers who will give you door-to-door services and give you rides to one of the best aquariums commonly known as the Aquaria Klcc. Familiarize yourself with smooth and fast rides considering our experienced SUV drivers who will drive you to for worship like the national Mosque of Malaysia as well as Thean Hou Temple. We also offer quick and affordable ride from our cabs. Our cabs are ready to pickup and drop off at any place of your convenience in Kuala Lumpur and its neighboring towns. Definitely you cannot miss a ride from the best-stretched Limousines in Kuala Lumpur. They offer the best transportation and are ready to drop you for departure at Kuala Lumpur international airport. We have plenty of posh buses for transport in case you visit with your family or friends. Passengers jumping off the plane to rush to a meeting or conference can use our terminal maps to guide them towards their driver. You can reserve a hotel in Kuala Lumpur or you can make discount airport transportation reservations. 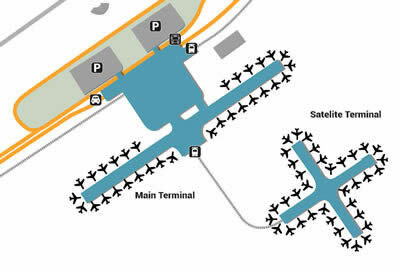 Kuala Lumpur, Malaysia Airport is abbreviated KUL. Kuala Lumpur has many places for you to rest, relax, and recharge for the night so you can enjoy the adventures of the next day. If you are looking for a familiar hotel chain there is the Doubletree by the Hilton, which has its own Sompoton Spa. There are also backpackers’ havens and inexpensive accommodations. For long term accommodations that won’t break the bank stay at one of the many service apartments. It’s located approximately less than 30 miles from the city center in Kuala Lumpur. It’s the fastest growing airport in the region and handled almost 50,000 passengers in 2013, but has the capacity to handle 70 million. It ranks the 10th busiest airport in the world for international passengers. Kuala Lumpur is the capital city of Malaysia; it also is the most populous with more than 1.5 million people living there. Food is a significant element of the culture in Kuala Lumpur. Before you leave make sure you try Ais Batu Campur (ABC) a traditional Malay dessert or drink teh tarik or pulled tea. Just about everywhere you go in Kuala Lumpur you will see street stalls, restaurants, and cafes. If you ask someone what Indian Muslim dish you should try they will recommend Roti Canai with a bowl of dhal (light and crunchy flat bread with a bowl of lentil curry). There is something to do for everyone whether you are a sightseer, like a thrill, or just want to take a stroll you’ll find something to do in Kuala Lumpur. Sightseeing: See the beautiful birds and butterflies at the KL Bird park or go experience the sights and sounds at the KLCC musical fountain. Thrills: fly a helicopter at the Petrosains helicopter flight simulator, swim with the sharks at Aquaria KLCC, or ride the Roller coaster a Berjaya Times Square. Take a stroll: there are some awesome views on the sky bridge of the Petronas Twin Towers, the oldest park in Kuala Lumpur Tun Abdul Razak Heritage Park is home to a variety of flora, and don’t forget to visit the rainforest at KL Forest Eco Park.